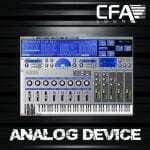 The first soundset of CFA-Sound contains 128 ultimate patches for your Sylenth1. It’s loaded with engergized leads, massive basses, driving sequences, organic pads and many more, demonstrating the Sylenth-soundengine’s powerful potential. A must-have for every Sylenth user – feed your Sylenth with this impressive soundset and feel the Synergy! Both soundsets are also bundle. 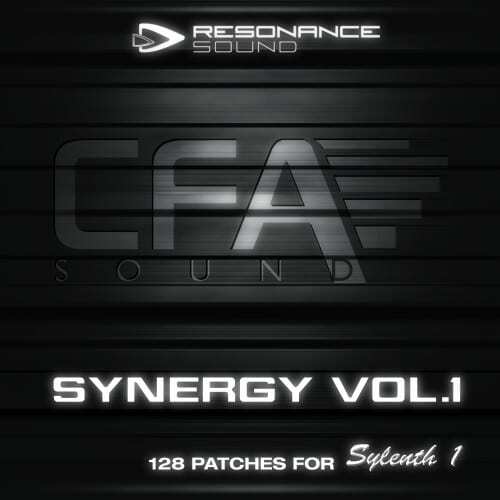 Amongst a lot of different soundbanks I truely prefer the “Synergy Vol. 1 Soundset”. Not only that you can choose from a broad range of styles – the sounds use the whole power the Sylenth 1 is able to supply. Stabs & basslines are punchy and crisp, pads are smooth and spread a nice, warm and mystic atmosphere. I’ve tried out the soundsets extensively right now and I must say I’m very impressed. They suit the sound of today’s dance music very well and even opens up for creative work to sculpture the sound of the dance music to come. Diverse and well made patches that should be a part of every dance music producer out there. I’m especially impressed with the bass patches. These are some of the best soundsets around. From soaring pads to lush leads they never dissapoint. I’ve tried out many of these in the past but few come close to the quality and power of this series. They will be a staple in my production for years to come!